The average person needs 7 to 10 sessions to be completely hair-free; outdated packages of 6 or 9 sessions don't produce fully smooth, lifelong results. With the Unlimited Package, you’re guaranteed to have your hair taken care of forever—no matter how many sessions you need. The package includes unlimited sessions of laser hair removal on an area for one affordable price. No surprise costs, or running out of sessions before your hair is completely gone. 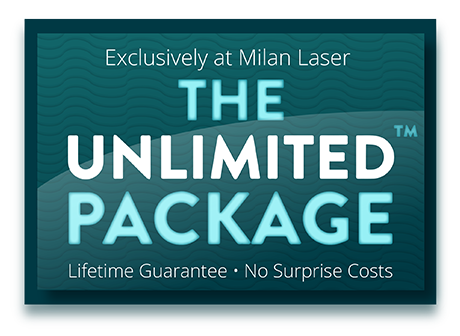 the Unlimited Package in laser hair removal is exclusive to Milan. You’ll never shave again with our safe and 100% effective treatments. Our unique package ensures you’ll be hair-free and care-free forever! Your body will change. For men, you may see increased body hair growth throughout your adulthood. For women, hormone balances change, and some (changes in activity levels, PMS, pregnancy, menopause, etc.) can stimulate your hair growth. 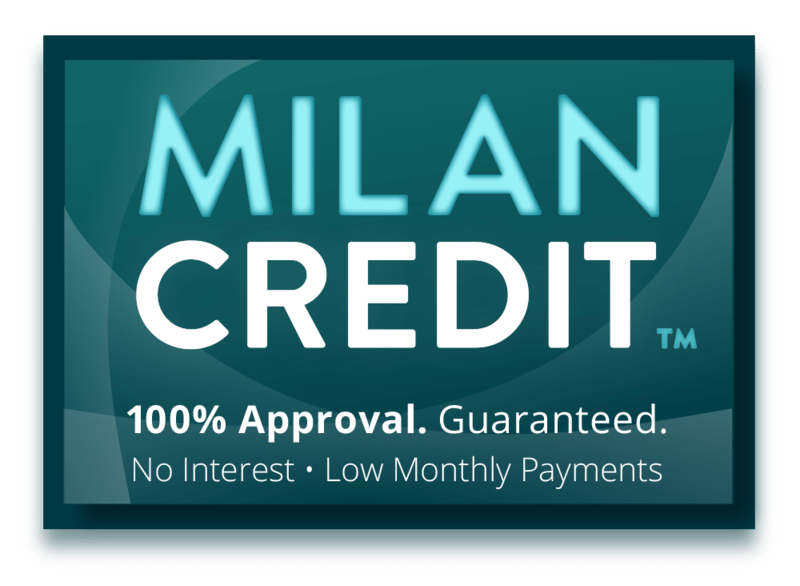 With Milan Laser, you won’t worry about paying for additional sessions because of life’s events.